Home PREGNANCY QUESTIONS Is Pepcid Safe During Pregnancy? Is Pepcid Safe During Pregnancy? 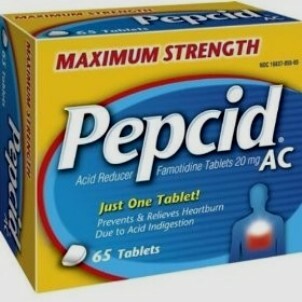 In case you think about using Pepcid during pregnancy most probably you have problems with heartburn or gastric acid. But is Pepcid safe during pregnancy? The drug is also known as famotidine. This oral drug is meant to block the acid production inside the stomach cells. Because of the pregnancy hormones, a lot of pregnant women are affected by heartburn. This is a burning sensation felt in the chest that could spread to the throat and jaws. Although it is known as heartburn, it has nothing to do with the heart. Too much stomach acid can cause damages to the stomach, esophagus and duodenum and these could result in ulceration or inflammation. 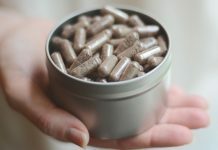 If the amount of gastric acid is reduced, the ulcers and the inflammations will heal in a relatively short period of time. When it comes to taking Pepcid during pregnancy, the truth is that the use of the drug wasn’t documented enough in case of pregnant women. 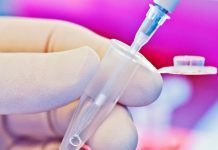 If you are thinking about breastfeeding or you are already nursing you should know that the active agents of the drug can get into breast milk. It is possible for the drug to do damage in the organism of the babies and this is why it is best for the new mothers not to take the drug. There are also some side effects that the mothers or future mothers should be thinking about. Although these appear rarely, you should keep an eye out for constipation, fatigue, diarrhea, headache, muscle pain, insomnia, vomiting and nausea. Some major side effects during pregnancy could also be experienced and these include agitation, confusion, anemia, easy bruising, depression, bleeding, hair loss, hallucinations, rash, irregular heartbeat, yellowing of the skin and vision issues. It is better to think twice before taking Pepcid while being pregnant. Previous articleIs Unisom Safe During Pregnancy? Next articleHow to Deal with Headache During Pregnancy?